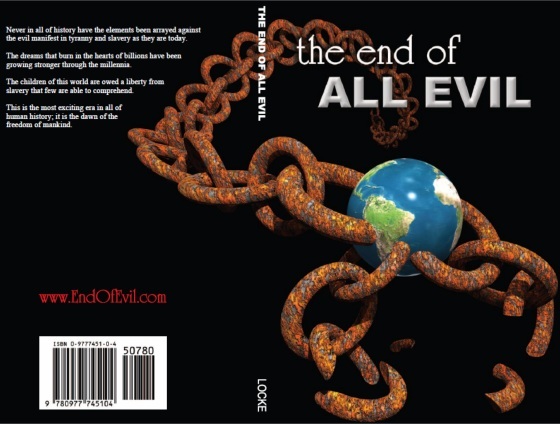 The End of All Evil by Locke is outstanding! It clearly depicts the world as it is....those in the minority that believe themselves to be masters of the masses, and the masses that allow this to happen by not having the courage to say "no". being. The definition of evil is the destruction of freedom. truth is the nature of your worth. To understand freedom is to understand the value of a person. Everything that evil wants is to disguise and destroy your value. understand your own worth is to understand the nature of liberty. possible. Freedom is the exact opposite of evil. earth is more valuable than you.